A strange hush has fallen over Lake D’Arbonne, Claiborne and Caney the past week. The area’s top crappie fishermen have suddenly become more tight lipped than a post-spawn crappie looking for a sunken brushtop. 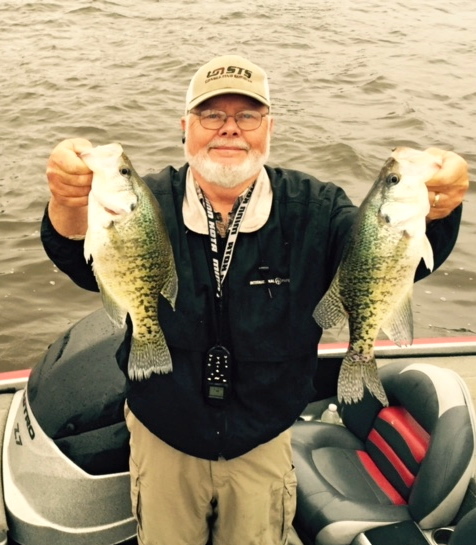 What about the where, how and what part of catching crappie? Not many are talking. The reason? It’s this weekend’s Crappie Masters fishing tournament. While the visiting pros and others have already entered, there are still a lot of local and area fishermen “testing the waters” and trying to determine whether to ante-up the $200 entry fee. There are are also usually quite a few visiting fishermen who enter late at the Friday night registration (for everything you’d ever want to know about CM tourneys, see this week’s earlier post). Some would say this coming weekend’s Crappie Masters tournament is a couple of weeks too late. The spawn is already trending towards ending. The fish are scattered everywhere on all three of the area lakes that are part of the tournament. Caney Lake near Jonesboro, Claiborne Lake near Homer and Lake D’Arbonne at Farmerville are the tournament lakes. But all of the big two pound mommas haven’t spawned yet, and all the big old males haven’t left the nests to head back to the deeper water, either. Evidence of that fact can be seen in areas like Stowe Creek, where I counted 32 boats even as late as noon Wednesday. Maybe somebody was having a family reunion. It sure looked like it. So there are still some shallow fish that could be fair game this weekend. And while most big fish are caught shallow this time of the year, there are some big ones in 10-12 feet of water hitting about 6-7 feet deep. Or a close variation to that. Most have spawned, but some are still heading in. Local James Morgan, aka Southern Chuter, caught several good ones like these yesterday. We also heard that Crappie Masters President Mike Vallentine has been on the lake and has put several two pounders in the boat! size and obvious larger numbers of crappie. But a fisherteam on Caney or Claiborne who knows just the right spots – including some post-spawn tops – could sneak in with the biggest stringer. Two fishermen only have to catch 7 fish to win. Look for the winning weight to be between 11-14 pounds. I can assure you one thing: The winning teams will catch their fish on an array of techniques from shallow to fairly deep and on big jigs and little jigs, spinners and minnows. The thing you have to remember for the tournament is that you can only weigh in seven fish, so being patient and looking for the big ones is the key. Here’s a quick look. LAKE D’ARBONNE: The water level in D’Arbonne has dropped consistently over the past two weeks by about 18 inches and is just a few inches above pool stage now. By Saturday, it could drop even further. That has the shallow bite fish on the move a bit and fish that are late moving in to spawn are stopping short of the usual areas. Some areas like around the State Park, the Bernice Bridge flats and Stowe Creek have been popular spots. We haven’t heard much about Bear Creek, but you can bet it’s time for some action there as well. Don’t be surprised if the most consistent finishers here actually catch fish in a bit deeper water. But then again, the way things are this year, don’t be surprised at ANYTHING! CANEY LAKE: Big bass up to 13 pounds made the headlines here this week. But it could be crappie this weekend. Some crappie are still in the shallows with some spawning going on. But it appears most of the big females have already laid their eggs and are transitioning back to deeper water. Some say the spawn is just about completely over. Fish are already drifting out around deeper brush. Shiners and jigs are picking up fish in both places. Here’s an interesting thing about Caney — if somebody CAN catch a big sow that hasn’t spawned, it could be the only three pounder of the tournament. 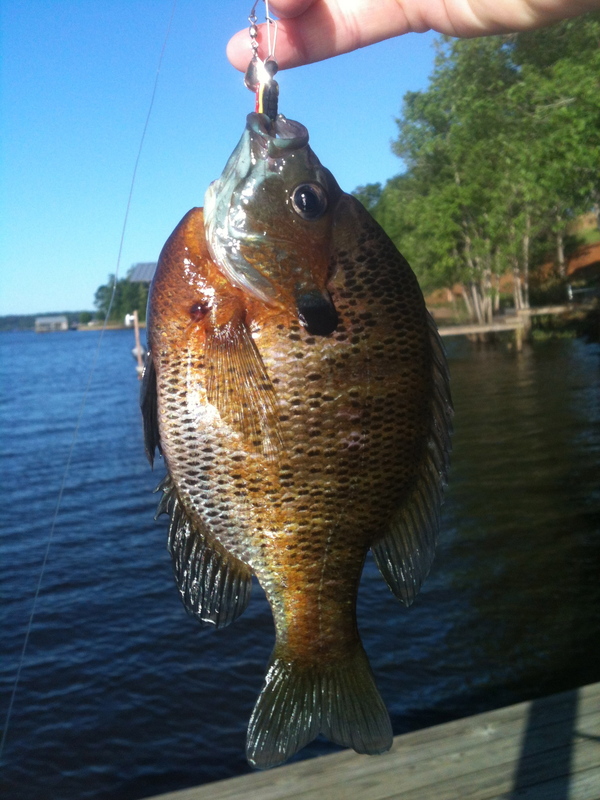 LAKE CLAIBORNE: Crappie fishing is fair in almost every type of area. Some are being caught in the shallows where spawning continues, some are back on deeper brush while some are also being caught below the spillway. Jigs and shiners are picking up these fish. And they are scattered, just like at the other two lakes. If it sounds like a broken record, don’t blame me. Blame it on the fish. Don’t miss the weigh-in Saturday afternoon. All the fishermen have to be in line by 4:30 at the Ruston Fairgrounds on the Ruston-Farmerville Hwy. OK, that’s not a crappie! But if you aren’t interested in the tournament, it’s still a great weekend to go fishing. If you aren’t worried about just the big ones, there are plenty of crappie biting to bring home a mess for supper. Bream fishing is also picking up on crickets and grubs and the catfish are spawning and hitting cold worms and red wigglers. Let’s hope it’s a pretty weekend like last Saturday!